The Pacific Northwest has long been associated with minimalist, cabin-like and woodsy vibes. And while A-frame trends don’t appear to be going anywhere, there’s been a palpable shift in the Pacific Northwest’s minimal style. Philodendrons are starting to be surrounded by industrial leather and wood furniture pieces; sleek concrete walls are starting to fill in empty minimal spaces. It’s a trend we’re noticing in both new construction for homes, and historic renovations for commercial spaces — today’s Pacific Northwest style is shifting towards industrial. The warm, industrial feel of many Pacific Northwest homes and offices is attractive. Exposed roughness of concrete or beams creates a sense of shared history with a building’s past life. Fortunately, it’s easy to capture this feeling in your home with a few simple renovation tips. Ready to bring the industrial style of the Pacific Northwest into your home? Here’s what you need to know. 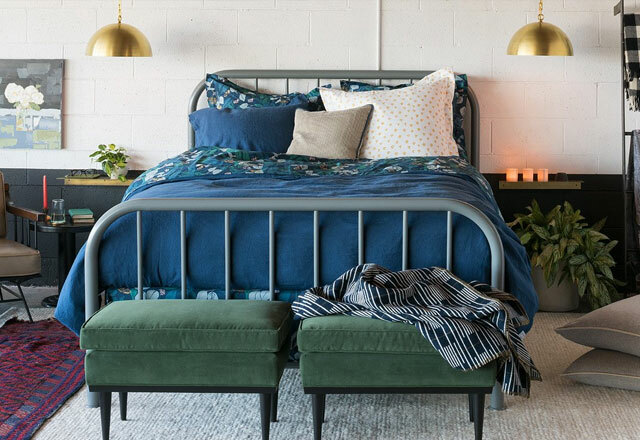 While we can’t all find homes and apartments with exposed brick walls, there are plenty of ways to bring the Pacific Northwest’s industrial style into your home. One of the easiest ways is to revisit color. Think of industrial warehouses, old car manufacturing spaces, or old newspaper production rooms: envision the grey steel beams paired with concrete and white-washed walls. Now take this neutral color palate of grey and white, and use this tones to color your home. Repaint your walls white, or update your floors to be exposed concrete-color. Either of these choices will help you create a clean, industrial vibe in your home. One of the most distinguishing characteristics of industrial spaces is the lighting. Both pendant lamps and metal fixtures are considered staples in the industrial design world, so why not bring these touches into your home? If you live in Portland, consider paying a visit to Schoolhouse Electric. The shop offers handcrafted, industrial-style floor lamps and pendants that use materials like hand-spun brass and black patina. Whether you’re looking to find an industrial lighting fixture for your living room or a workspace, this Pacific Northwest company offers stunning, high-quality pieces that will help you curate an industrial chic vibe in your home. If you’re not sure how to start adding industrial style to your home, here’s a pro tip: purge. Industrial style draws on simplicity, so every detail of the space should be streamlined. Seasonal clutter? Get that out of sight. Choosing between chairs? Look for furniture with minimal detailing. Stay away from too many patterns, too! While the Pacific Northwest’s industrial style encourages bare bones and raw materials, don’t let that fool you into thinking accents and details aren’t necessary. On the contrary, adding choice details to your home is one of the best ways to capture the Pacific Northwest industrial style. If your space is lacking in raw materials, search for a steel table or a large vintage sign to help you fill out your home’s decor. And if you’re lucky enough to find machinery pieces, like a metal clock with old gears, these details add a great sense of industrial flair to your home.